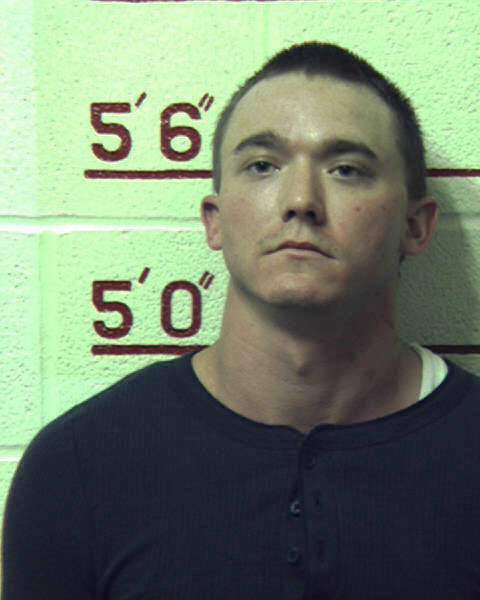 CLEARFIELD – Dustin T. Thomas, who was found guilty of first-degree murder, was sentenced to life in prison without parole Tuesday. Thomas, 28, of Hawk Run was accused of the murder of Brett Bamat of Philipsburg in October and was convicted after a trial in August. Thomas shot Brett Bamat as they were arguing and shoving each other outside a Morris Township residence, according to testimony. According to Valerie Bamat’s testimony, she, Thomas and Brett Bamat were at the residence that night as Brett Bamat and Thomas did some odd chores around the home. Thomas was angered after a phone call from Valerie’s husband, Tim Bamat, during which Tim Bamat said he did not want Thomas at their residence. Thomas cried and claimed he was more of a brother to Tim Bamat than Brett Bamat, she said. Thomas then pulled out a gun declaring it was his “muscle.” Brett Bamat responded by flexing his arm, showing his muscle. Things calmed down and Thomas put the gun away. A short while later, the two got into a shoving match again after Thomas pulled the gun while Brett Bamat’s back was turned, she testified. She suggested they go outside. In a further effort to separate the men, Valerie Bamat asked Brett Bamat to take some food to her car. She then tried to get Thomas to leave. But when Brett Bamat came back to the porch, they started pushing each other again. She stepped into the home for “maybe 20 seconds” when she heard a gunshot. She went back out where she saw Brett Bamat lying on his side on the ground. Instead of helping Brett Bamat, Thomas went to his car. Valerie heard another shot and she ran to the vehicle. “I just want to kill myself,” is what he said to her at that point, she testified. After she told him that would not help anyone, he said he wanted to go home and drove away. Bamat died as a result of a chest wound. Thomas testified that he does not remember much of what happened that evening because he was drinking. When he woke up the next morning in the county jail, he thought he had been arrested for driving under the influence, he said. He claimed he was unaware of Brett’s death until a state trooper questioned him at the jail about the murder.